They say pictures speak more than a thousand words. Indeed some pictures can have an impact. History, emotions, sport all are static in a picture and they make us want to return to that particular moment. Here are some of iconic pictures that have been seen around the world and a bit of the story behind them. 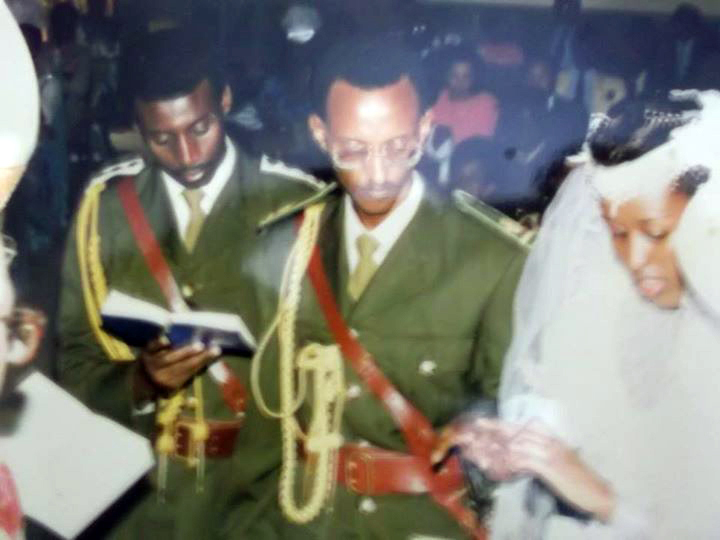 June 10, 1989, at age 32, President Kagame weds his wife Jeannette Nyiramongi with his best man late Gen. Aronda Nyakairima seen in the photo. 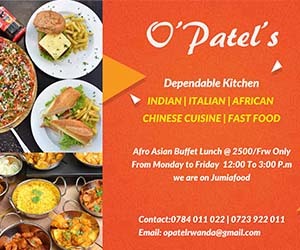 Kagame was then serving in the National Resistance Army (NRA) that later became the Uganda Peoples’ Defence Forces (UPDF), as the head of the Directorate of Military Intelligence. Kagame would later lead a struggle that liberated Rwanda from a genocidal regime. Arguably the most famous sporting photo ever taken, this snap by American photographer Neil Leifer shows the moment Muhammad Ali stood over the defeated Sonny Liston following their second world title fight on May 25, 1965. The punch took Liston eight minutes to get back up to his feet. 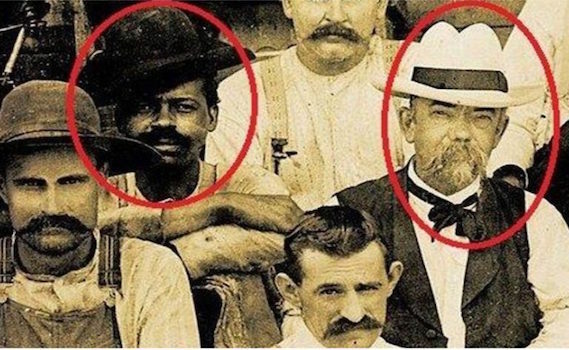 Nearly 143 years after the initial production of Jack Daniels Whiskey, the ex-slave that taught the founder the craft of whiskey distilling is receiving a new honor in the wake of the recent news of his involvement in the Whiskey history. Last year, a New York Times article about Nathan “Nearest” Green, a slave from Lynchburg, TN who taught Daniels the trade, went viral, sparking the interest of New York Times best-selling author Fawn Weaver. After looking into Green’s story, Weaver launched a foundation in his honor. When a person of the president of a nation comes to our mind, we visualise him or her in an official outfit, the usual suits and ties all the time even when relaxing shirtless is subtly not an option. But Russia’s Vladimir Putin has defied this tradition. Once upon a time, he went to an island and was photographed wearing nothing but a soldier pant. Considered as the most powerful man alive today, the last thing to imagine is seeing President Vladimir Putin with tears in his eyes. After an interim period as prime minister, Vladimir Putin was re-elected as Russia’s president on March 4, 2012. At a huge rally with tens of thousands of supporters on Moscow’s Red Square, he declared himself the winner on election night and showed that he was touched by his victory with tears in his eyes. Epic. This is one of the most seen and repeated portrait ever, but it was not out of the blur that it became famous to having a name and be taken as an inspiration to many revolutionaries. Guerrillero Heroico (English: “Heroic Guerrilla Fighter”) is an iconic photograph of Marxist revolutionary Che Guevara taken by Alberto Korda. It was captured on March 5, 1960, in Havana, Cuba, at a memorial service for victims of the La Coubre explosion. By the end of the 1960s, the image, in conjunction with Guevara’s subsequent actions and eventual execution, helped solidify the charismatic and controversial leader as a cultural icon. Korda has said that at the moment he shot the picture, he was drawn to Guevara’s facial expression, which showed “absolute implacability” as well as anger and pain. Guevara was 31 years old at the time the photograph was taken. Talking about icon pictures over the last two decades “THE BLISS PHOTOGRAPH” is believed to be the most viewed. Taken in January 1996 by the former National Geographic photographer Charles O’Rear, a resident of the nearby Napa Valley. He took the photo on his way to visit his girlfriend. Driving along the Sonoma Highway he saw the hill, free of the vineyards that normally covered the area. “There it was! My God, the grass is perfect! It’s green! The sun is out; there’s some clouds,” he remembered thinking. While it was widely believed later that the image was digitally manipulated or even created with software such as Adobe Photoshop, O’Rear says it never was. Several years later, Microsoft engineers chose a digitized version of the image and licensed it from O’Rear. Titanic mostly known as a title of a romantic Oscar awards winning movie shoot in 1987 based on an actual event of a boat that sank in the north Atlantic. This photograph is the last known picture of RMS Titanic on the surface of the ocean on 12 April, 1912. It was taken at Crosshaven, Ireland, just after the vessel departed Queenstown where it had stopped before heading westwards towards New York. Three days after this photo was taken 1,514 people would be dead and the Titanic would be on the bottom of the North Atlantic after colliding with an iceberg in one of the deadliest peacetime maritime disasters in history. According to Time Magazine this photo was taken by Irish Jesuit priest Francis Browne who sailed with the ship for the first leg of its journey, from England to Ireland then called Queenstown. The priest would have stayed for the remainder of the transatlantic journey too, having received an offer of a ticket from a wealthy family he befriended while on board. When Browne reached Cobh, however, he received a note from his clerical superior, ordering him to return to his station immediately rather than sail on with Titanic. When it comes to political leaders there are names that are familiar. Here is a picture of the visit of Idi Amin Dada, Uganda’s President, to Zaire to offer his support to president Mobutu in Kinshasa, Congo on April 23, 1977. Barack Obama waves on stage with wife Michelle and daughters Malia and Sasha as he walks to give his victory speech at Grant Park after becoming the country’s first black president. Thousands of people attended the historic event at Grant Park in Chicago on November 4, 2008. Photo by Patrick T. Fallon/ZUMA Press. This was undoubtedly the coolest assignment of my life. My spot was staked out early in the morning. I carried a 5ft. step ladder with me that morning and chained it to the fence to mark my spot,” says Fallon. After the house cameras turned back to the game, President Barack Obama gave his wife Michelle Obama a kiss after NOT kissing her during “Kiss Cam” during an exhibition game against Brazil at the Verizon Center, July 16, 2012. (Photo by Toni L. Sandys/The Washington Post via Getty Images). It is unusual for the first couple to kiss in public but Barack Obama and his wife were pressured into kissing for the cameras as they sat on the sidelines of the men’s USA National Basketball Team game against Brazil. The first couple were joined at the match in the Verizon Center by their daughter Malia who pointed out to her parents that they were finally on the ‘kiss cam’. The crowd cheered and clapped as the President went in for the kiss. Nelson Mandela, with his wife, Winnie, walks to freedom after 27 years in prison on Feb. 11, 1990, in Cape Town. South African National Congress (ANC) President Nelson Mandela (c) and his then-wife Winnie raise their fists 11 February 1990 in Paarl to salute cheering crowd upon Mandela’s release from Victor Verster prison. (Photo credit ALEXANDER JOE/AFP/Getty Images). Iraqis watching a statue of Iraqi President Saddam Hussein as it is pulled down in Baghdad’s al-Fardous (paradise) square on April 9, 2003. The above picture shows a television crew filming on March 9, 2008 the “Statue of Liberty” which replaced Saddam’s statue in al-Ferdous square, five years after the US-led war on Iraq which toppled the regime of Saddam Hussein. PHOTO/PATRICK BAZ/AFP/Getty Images. A sailor and a nurse did not know each other, they were just so ecstatic to hear that World War II had ended that they did what instantly came to their mind to do — kiss! Photo by Alfred Eisenstaedt. The iconic sea stacks, called raukarna, of Langhammars Nature Reserve on Fårö Island are the remnants of Silurian coral reefs. Credit: Naomi Lubick. August 6th 1945. It was a bright, beautiful morning in Hiroshima. Toshiko Tanaka was six years old and on her way to elementary school. She was walking with her friend when they heard a loud rumbling in the sky. Just as her friend pointed out the B-29 bomber plane overhead a bright white flash blinded them. Toshiko covered her eyes with her right arm which was instantly burnt along with her head and neck. When she opened her eyes she could see straight out to sea through the city center where just moments earlier buildings and homes had stood. A few minutes later, everything went black. Toshiko began to feel the burning on her skin and started crying. She turned back to her home and when she got there she found some timber framing and a bit of roof. Just 30 minutes after Toshiko had left that morning as a clean happy six-year-old, she returned with singed hair, burnt skin and blackened clothes. Her mother didn’t recognize her (www.boat-mag.com).